How could we afford to do this? And, how can YOU also afford to do this? I'll bet that brought you to a halt. That wasn't the case at all. We're not rich, far from it. We weren't particularly lucky either, except in one or two instances, but, I think we would have been able to do what we've done even without those lucky instances. Of course, we didn't have kids, but I think even if we had, we would have found a way (our family motto - Ibi Est Voluntas, Ubi Est Via – Where There's a Will, There's a Way) to do this anyway. Many years ago, I had been working for the State of Washington for about six or seven years. Dianna had been working for the Washington State Association of Fire Chiefs for about as long. A co-worker of mine and good friend, Joel Aggergaard, who, some years later passed away after a rare recurrence of Hodgkin's Disease, was always ragging after me to “Max out your deferred comp, Man”. At the time, I had a whopping $25.00 US per pay period (2-weeks) deducted from my pay. Eventually, I contacted the Deferred Compensation folks at the Department of Retirement Systems for Washington State, and inquired about how much it would hit me in the wallet if I did max out my deferred comp. Turns out that I would see a negative four or five dollars each pay period. Needless to say, I filled out the paperwork and began socking away a tidy fistful of money each period. At first, the statements looked paltry, but, believe it or not, before too long, it began to look like real money to me, and the beauty of it all – I didn't miss any of it. That was step one. Maxing out Deferred Comp and making sure, as time went on, that each raise that occurred was reflected in the amount going to Deferred Comp. It was too easy. It just seemed so transparent to me in that Dianna and I didn't miss the money at all. Next thing we did was to join an investment club, since we knew nothing about stocks, bonds, and the stock market. We figured this would be a good way for us to learn without loosing our shirts. This was serendipitous event number two. In the club, we met a young stock broker who was just getting started. He was one of the founders of the club, in fact. He and another young man (we were several years older than either of them) had developed a spread-sheet program to analyze a person's portfolio and overall financial picture and project several scenarios into the future. We stayed active in the club for a year or so. And, about that time, the club began to disintegrate. After the club folded, we stayed with the broker as our financial and investment advisor. On his advice, we also hired the young analyst to run some projections for us to see where we might end up (taking a first look ahead to early retirement, but with no concrete goal at that stage). To our utter amazement, his charts and figures indicated that we would be able to actually retire early and have a fairly (for us anyway) substantial nest egg to do it with. We didn't actually put much faith in those projections but, they did make it seem “possible”. Time went on. We were continuing with Deferred Comp and had begun to put about $150 a month into the market through our financial advisor. He was, by this time with Smith Barney, and was in a suite of offices in an office building in downtown Olympia. Each time we visited him at his office, we felt like we were going to be “found out”, that we really shouldn't have been there, that we were such small time players. To his credit, our advisor never once made us feel that was justified. He just kept saying the scenarios were correct and to keep on the way we were and it (early retirement) just might happen. Eventually, we began to believe that we might be able to retire early as well. Although we frequently pestered our advisor to run scenarios of his own (he was now with Charles Schwab and in even fancier digs down on the Swantown waterfront area of Olympia). We began seriously looking at how we might implement this plan sooner than later. I had also gotten interested in doing “working vacations”. One scheme that really caught our attention was helping with an archaeological dig in the Brazilian Amazon. This place was 300 miles upriver from the nearest town, and seemed ideal. We could go for three weeks and it would be a grand adventure. We didn't care if we had to wheelbarrow debris all day long or what. It just sounded romantic and exciting and just, so out there. Before we actually signed up for it, I found out it was designed for educators who wanted to observe the workings, with no actual labor involved. That burst our bubble. But, the bug had been planted for adventure. I found another archaeological dig in Jordan (probably too hot in the middle of the Biblical desert), and another on the Bay of Galway in Ireland, excavating an old monastery and you'd stay with people in town. But, they wanted a six week commitment. We just couldn't finagle six weeks from our jobs (mine with the State and Dianna's with the Fire Chief's Association). The spirit of adventure was really beginning to grab us. Sometime during this period, I think I watched a program on TV about the Peace Corps. That did it. We both thought, Wow! There's our way out. It would give us the grand adventure we'd been seeking, put us somewhere in the world we'd never get to on our own, and it would pay for two years of that adventure while our Deferred Comp and investments continued to do their thing. Then after two years we'd be able to settle down somewhere, maybe even where we'd been assigned in the Peace Corps – who knows? So, we began the application process for the Peace Corps. As luck would have it, we went to a recruitment presentation at the Olympia Civic Center. The presenter was the Regional Director of the Peace Corps and he had done his two-year service in Belize, working with inner-city youth in outdoor adventure programming – which was my college area of emphasis. Anyway, that was our first introduction to Belize. We wanted to be assigned, if possible, anywhere in Central or South America, preferably the Eastern Caribbean islands (of course). They offered us Africa. That was OK too. We thought with our backgrounds in emergency management and non-profit association management, that we'd be offered a similar activity in the Peace Corps. Not so. They wanted us to work in agriculture, and even asked me if I'd be willing to learn bee-keeping. Of course, we said yes all the way around. In preparation for Peace Corps service, we actually sold our house. That lucky thing I mentioned at the beginning, occurred right here. We picked just about the best time of all to sell our house. The market was just topping out. We asked more than we thought we could get. We had three couples interested in the house, and we got an offer for more than we were asking from one of them. We were happy. They were happy. 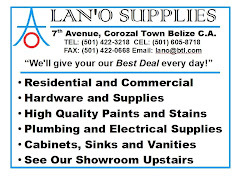 They've since become very good friends of ours and have even visited us down here in Belize – helping to install some of the plumbing in our house (when they visited, we had no kitchen, kitchen cabinets, or anything). And, they want to come back. Well, a year and a half later, we still hadn't gotten an assignment. It seemed there was always one more question to answer, test to have done, etc. About this time, Dianna retired from the Fire Chief's Association and she didn't seem to be missing work at all. We went for a couple of weeks to visit some friends of ours in Florida. While there, we came to the realization that we wanted adventure now, that we were done waiting. 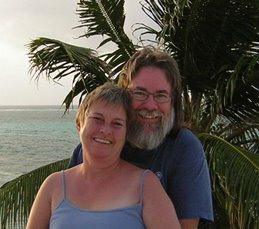 So, as soon as we got back, we canceled out of the Peace Corps (which we still have some regrets about doing so), I submitted for retirement in two weeks, and we booked a flight to Belize for a month's vacation. Fully intending to arrive in Belize at Phillip Goldson International Airport, travel to Corozal and stay at the Copa Banana Guest House for a couple of days, then spend the rest of the month traveling throughout the country to see if we really did like it, really did want to live there, and what part of the country we wanted to live in. Three days later, we had bought property, bought a car, and had found a place to live, house-sitting for a Dutch couple who spent the rainy season back in Holland. On that trip, we never did get to the rest of the country. 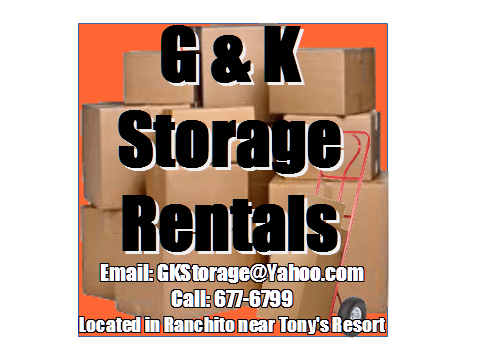 We flew back to the states, had a big garage sale, packed up what was left, shipped it down to Belize. We grabbed our two cats and flew ourselves to Cancun, and took a taxi to Corozal and our new life. We haven't looked back once. It was, without a doubt, the best decision we ever made in our lives. And we aint' rich! We were working stiffs like everyone else we knew. If you want to do something, we're good examples of goal-driven behavior, it is doable. We're living the dream here in paradise. You can too! Discipline, stay focused, and when the time comes, the hardest part of the whole thing, is actually making and doing the decision. Turning in that retirement form. From that point on, everything was a piece of cake. Wow... just what I'd like to do. However, I am most happily married to a wonderful lady who firmly believes in finishing the new patio home. Any, thanks for the history... I admit, I had wondered. Keep it up.. we love reading it. I appreciate the comment. It's nice to hear. Renting is a possibility, but even better is house-sitting - often for free, sometimes you might even get paid a stipend for it, and sometimes you might have to pay minimal rent. In my book house-sitting is the way to go. No one in their right mind wants to leave a house unattended for any length of time at all. Come on down (both of you), plan on spending a week or two, and see what develops. If you can time it to be here on the 2nd Tuesday of a month, plan to attend the Friendship luncheon at the Purple Toucan; introduce yourselves and tell all that you're looking for a house-sitting opportunity. We house-sat 3 homes before we moved into our own place. Great blog. I look forward to your posts. My wife and I hope to build our house in Consejo next year and I am coming down next month to pick a contractor. I would like to get your input because one of the recommendations is for John Harris and I was wondering why you are not using him to build the guest house. We're like you, no kids (except the four legged kind) and are looking at an early retirement next year (if the market doesn't get REALLY bad). Maybe we can get together for a couple of Belikins or lunch at Patti's. Thanks for the nice comments on the blog. Regarding John Harris, it was simply a matter of timing really. Bob, who lives near us, was over one day sharing a Belikin (as you do here), and he knew I was wanting to sell my large, 20ft box truck. He needed it for his construction business, but he didn't have enough money up front to purchase it. Dianna came up with the idea of our selling it to him in exchange for constructing our guest house - we'd come up with the cash for anything over and above the cost of the truck. He accepted. So, there we were. Then, we started with John constructing the pool. As that project went along, during a tea break for John (he likes his "spot of tea") he mentioned he wished he'd known we were selling the truck, he'd have given us the same deal. Ah,well. Timing. That would have been perfect for us. We would have just moved directly into the guest house project from the pool project. But, that's the way it goes. Not that there's anything wrong with Bob's work. He's professional and does nice work. We've used him in the past. I've used his crew several times for our fences and some other projects. Good workers all. John and his crew work very fast, and do absolutely top-notch work. The rumor is constantly out there that John is expensive. To be honest, we found him to be very competitively priced. You just have to be willing to brew up a Thermos ("flask" as John calls it) of tea a couple times a day for him. Small price to pay to keep your contractor happy. His crew is very neat and tidy. The work site is cleaned up daily. John also doesn't waste supplies. Sand and gravel, for instance, is utilized to the max. John, and Bob, have my highest recommendations. If you can get either one, go for it. You won't regret it at all. A couple of Belikins would be great, and maybe a swim or two in our pool, and lunch at Patti's would be outstanding! Here's to early retirement! It beats work! I've been lurking on your blog for a while now and was also wondering how you made it happen being government employees. The wife and I are both 28, desperately want to retire in our 40's and are not rich. We truly appreciate your insights. 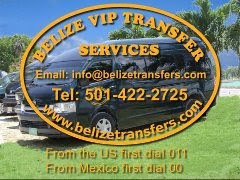 I've been to Belize 6 times in recent years and am planning to come back in early spring. Never made it to the far north or far south but they sound like my speed. Love San Ignacio and Belmopan, don't like Ambergris and love Placencia but think it is really about to change. I will end up doing consulting work back in the states off and on... How would you feel about leaving Diana in Belize for a week or two at a time? Thanks for your comments. Twenty eight... perfect time to start getting your ducks in line, so to speak. You won't regret it at all. We saved religiously and invested what we could, but it wasn't all save, save, save. We traveled quite a bit, went to europe a couple of times, bought what we wanted when we wanted, resisted buying new cars, stuff like that. So, even with saving, we still lived comfortably and within our means. I think the act of setting serious goals intrinsically makes you more aware financially, and you become a better budgeter and money manager, in charge of your own destiny in a way that most other folks never will. So, to the question of leaving Dianna alone for a week or so. I don't think that'd be a problem. So long as you established relationships with other expats in the area (not hard to do at all), became aware of what stores carry what, how to get to and from them, etc. Probably more important, is both of you learning how to drive Belizean style and becoming comfortable with that. Have police and fire local numbers plugged into your cell phones (911 is fine, but it's for the whole country and they may not be familiar with your particular patch. I guess finally, making sure she has ready access to some cash, like through an ATM, etc. And probably, down here, I'd want to have a dog or two for protection. Dogs are much more than pets here. They're serious security tools. Something to consider. Last but not least, having come from the Northwest, we didn't want any more rain than we had to have. The further south you go, rainfall increases significantly. Make sure you can withstand constant rain, mildew, mold, and everything else that comes with wet stuff. 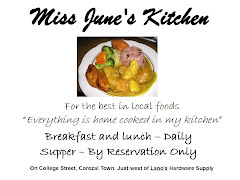 Corozal is about the driest part of the country - that's why we're here. Hope this helps, and best of luck on your own "grand adventure". I hope you enjoy it as much as we're enjoying ours. I suppose I'm half way there, I love driving in Belize, Guatemala and Mexico. Sara is a bit more timid about that. I had initially wanted to live a bit more remote but after what happened to the folks in Christo Ray (sp?) this last year being in or near town has some value. I also agree knowing other expats is a good thing. One thing I have been trying to figure out is that this past trip I had locals in a couple of different towns ask me if I lived in Belize. I'm assuming it is because I've been there enough I looked comfortable but don't know. I think it is important to figure out because I think you are safer or at least in a better position. I don't mean to insinuate that Belize is any less safe than anywhere else. It could be as simple as not wearing the usual tourist uniforms - looking like you just stepped out of an Eddie Bauer catalog or something similar. It could be maybe having a tan, not looking like a "snow-flake" as we call them, folks so white it hurts your eyes. 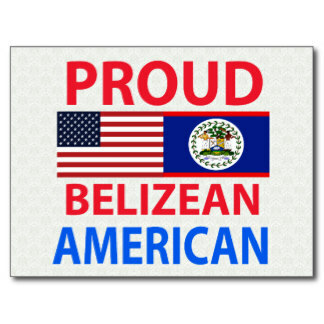 Or maybe, just a more relaxed Belizean-style attitude, something some Gringos never seem to be able to slide into. I think it's always nice to have neighbors near by. I do know a few folks who live out "backabush". We're nearly there even though we live in town. Our nearest neighbor is about a 1/4 mile away, if you don't count people across the canal, which they can't cross easily thanks to crocs.